Tim: OK. What do you want to call the company? Tim: How about "Dang Chicks"? The next morning the conversation resumed. Tim: What do you want your customers to hear when they walk into a room wearing your products? Since then, tens of thousands of women across the globe have found their inner Dang Chick and decided to wear their heart on their sleeves...and head, neck, and home or wherever they want to tell the world what they are all about. Our customers want to have fun, be encouraged and also reminded that they are beautiful and worthy of pursuit. 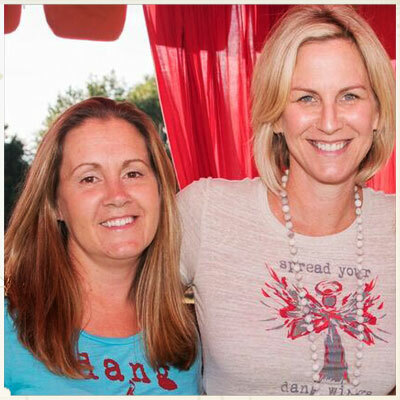 In 2016, Kara Hoekwater joined the dang party as a partner and together, Steph and Kara are the dynamic duo behind the Dang Chicks brand.